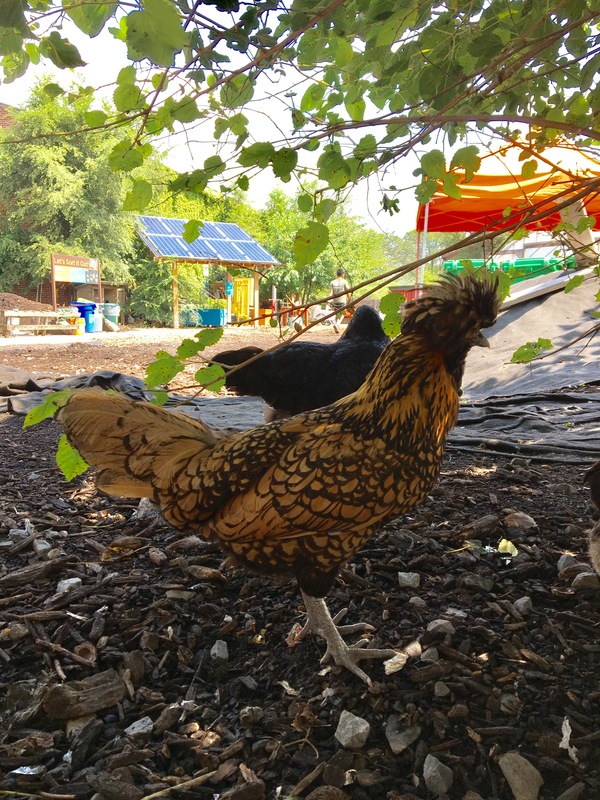 This summer I worked at Earth Matter, which is a composting center that manages Governors Island’s waste and educates visitors. Besides the compost piles, there are about 80 chickens, two baby goats, a bunny, and a garden. 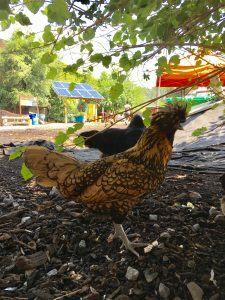 I spent some time maintaining the compost piles, but I also helped out managing the farm, taking care of the animals, and learning about organic waste and waste management in general. On Saturday’s, people would come visit Earth Matter and I played games with the children while teaching them about the importance of composting. A lot of parents had questions too so I was able to share everything I had learned. 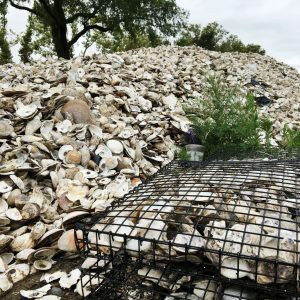 Earth Matter works with the Billion Oyster Project, which gathers shells from restaurants that would otherwise be thrown away, and regrows oysters in them to return to the harbor to clean the water. 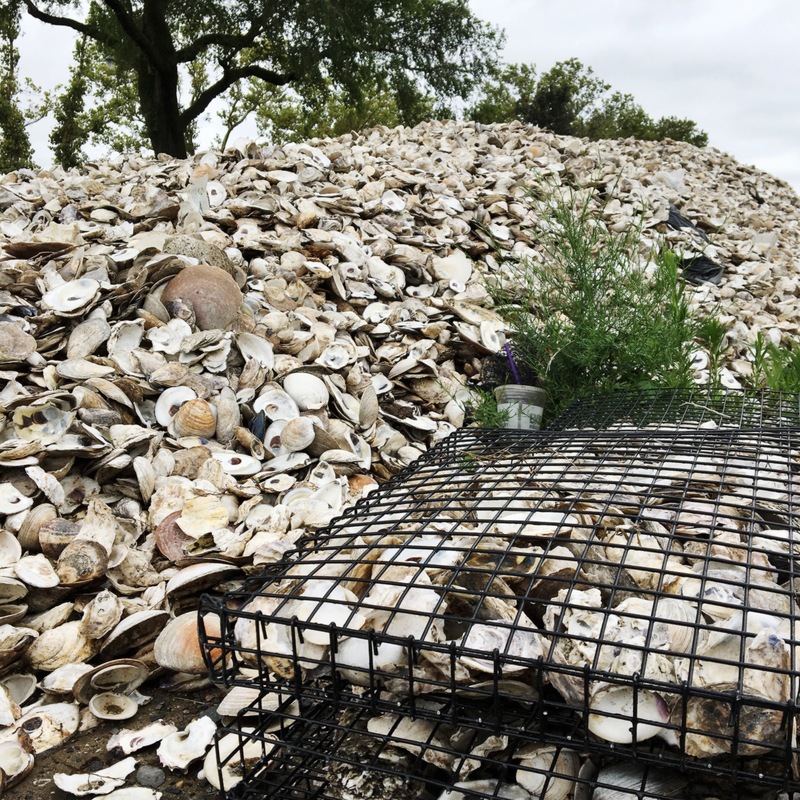 I collected the used oyster shells from the restaurants on the island, washed them off, and left them to dry. I had to sort the garbage from the island because people would always put things in the compost that didn’t belong in it like aluminum, plastics, and the occasional diaper. Because of that I’m very conscious of where I’m putting my garbage and I’ve tried to make other people conscious of it too. My time there was a lot of physical work but I still got to learn a lot more about composting, plants, and animals, and I enjoyed getting my hands dirty for a cause I really believe in. This summer I spent a month in Thailand, in mostly local, rural communities with 13 other high school students in a program called Where There Be Dragons. We traveled around the country, stopping for a few days in each place and spending the nights in guesthouses and youth camps/hostels . The longest we spent in one place was a one street village of about 240 people by the ocean. While I was there, we worked with community efforts to aid a few environmental issues including deforestation and wildlife preservation. We helped families replant patches of cut down forests while learning about their efforts to preserve the rainforest through growing amounts of tourism in the area. There was also a Wildlife Animal Rescue Foundation where we fed and medicated injured gibbons and monkeys. Later on, we helped a local, self-sustaining farm build and paint their adobe houses. We learned how to make and lay mud bricks and how to use natural sources to make the paint. Being immersed in a culture so different than city life was not only an amazing experience I will always remember, but also by living with people who care so much about each other and the world around them I gained a deeper understanding of the environment and how we can take steps to leave a less harsh effect on the natural world. I saw how much of a difference small efforts by people who work together can make. This year I volunteered at AFYA where we organized and labeled boxes of medical equipment that would then be shipped to Syrian refugee camps. The organization takes medical equipment that hospitals would have thrown out even though none of them are actually used. Working there made me realize how much gets wasted at hospitals and how many people could be helped if all hospitals gave away their trash equipment instead of filling up landfills. Each box we packaged could preform a couple of surgeries each and we were able to package about five boxes. It showed me how a few hours of working together could make the difference between life and death for so many people. For our YPI social issue, we chose homelessness and worked through the Doe Fund, a non-profit organization that works provide the homeless with a job opportunity, education, and life skills so that they may return to everyday society and lead a stable, sober, and ultimately better, life. Our group did lots of research on the topic before going up to the Doe Fund’s Harlem site on 2960 Fredrick Douglass Boulevard. Once we arrived at the site we were given a tour and we were able to ask plenty of questions which helped us create a presentation that we shared on service day, winning $500 dollars for the Doe Fund. When we first started our project, homelessness was something that I saw everyday but that I didn’t know how to help. By the end of the project, I began to be very aware of every instance of homelessness I saw. I also became aware of all the struggles they faced and the dangers of living on the street that I had never considered before. This project really helped my teamwork skills that were needed to work together with four other people to create a presentation. It also helped me to manage my time better as it was a big project added on to regular amounts of homework. I found that gathering data and researching the topic was actually very difficult. There was a lot of data that we could access but for a social issue like homelessness, it is hard to find accurate percentages and lots of websites gave different statistics however the most rewarding part of the project was presenting our project and the things we learned about homelessness as a social issue to the rest of the grade and to some parents. I hope to continue educating people with what I know about homelessness, and hope they pass on that knowledge to educate more people. I also hope to stay in contact with the Doe Fund and possibly help out there if I can.